I guess you must have made a mistake on 花椒 and 八角. They should have been swapped, right? Your recipes always give me tons of inspirations, most of them are my favorite dishes. Thank you! Can i eat it instantly after 40 days or need to steam or cook before eat?? Thanks for your kind words, very inspiring. They are still raw. You have to cook or steam them. Hello, first of all, Thanks for the recipes, they are very inspiring! 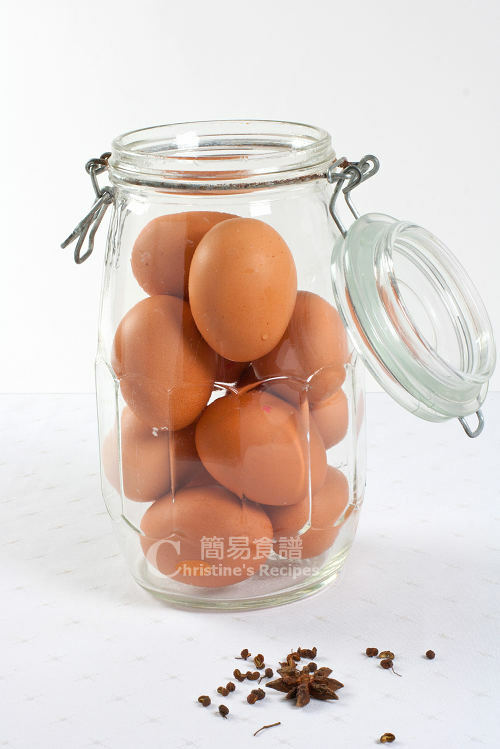 I have a question about pickling salted eggs, should the eggs be refrigerated while pickling or at room temperature. Is there any problem w bacteria/salmonela growth at room temperature? Thanks. You could place them in room temperature. This is an old fashioned way of preserving foods in brine (high amount of salt dissolved in water). Supposed your eggs are clean and hygienic of course. wash eggs and wipe dry, then dip into wine(any kind), when the egg still wet with wine, roll it with salt, then set it in a glass or plastic container with lid,carefully handle(cause will make the salt fall off) in room temprature for 2 or 3 weeks. thank you for share your recipe, they are great. Thank you for your generous sharing. It's very useful to all my readers. I live in England, we can buy the duck egg quite easy during summer time, but not much in winter, maybe lots of duck are on strike. That's why I made a lot of salty eggs in summer, after the finish date, I keep the eggs in the freezer. Everytime I need it, just take one out and defrost it, just like the fresh one. And keep it longer as well. I wish it is a good tips for others! Just keep the salted eggs in your fridge. They can be kept for several weeks because they are salted. I am staying in the UK! I can make it successfully!! 成功啦！！好好味啊！！多谢基丝汀！！but i just try to make it second time and my salt doesnt melt this time...strange~~any idea?? But have no clues why your salt didn't melt. Salt should be easily dissolved in water. Hi Christine, can I use 花雕酒 instead? Congrats on your success ! Enjoy the yummy, oily salted eggs ! I want to know whether the bottle with salted water and eggs should be stored in fridge all the time? Thanks. I often place at room temperature, at a cool and shady place. If the weather is too hot at your place, you might place it in fridge. Can I add in the wine now? the eggs been soaked in the salted water for 2 weeks already? 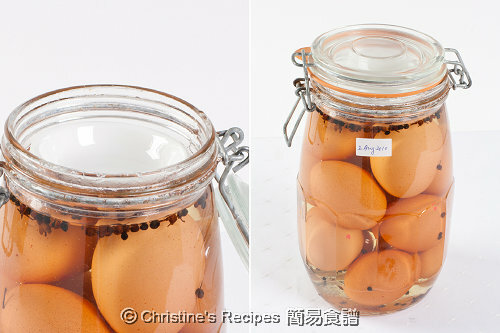 The wine should be added into the salted water once it cools down, then soak the eggs into the brining water. Please read step 2 and 3 of 做法 again. 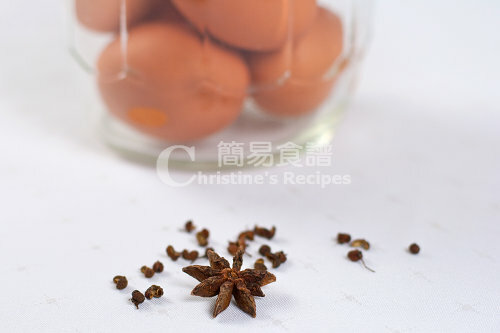 CHRISTINE... i tried using your method to marinate the eggs. however, i saw there's like "mould" floating in the water, would it because i didn't put enough water the soak all the eggs that the first place?? can i still eat it?? thank you!! If you spotted some mould floating, your brining water is polluted for some reason. Not good for your health.